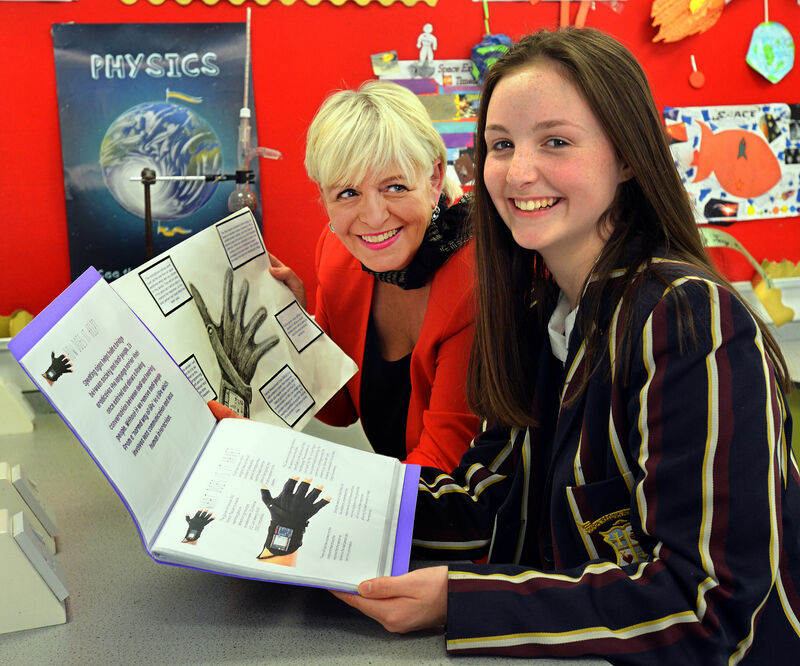 Multi award winning Loreto Grammar School STEM teacher Elaine Manton has picked up another prestigious international accolade with the e-Twinning European Quality Label. The award is specifically for her role "Engaging Students: STEM Clubs and Citizen Science" with the eTwinning Project involving collaboration with different schools across the Europe. Previously Elaine from Appleton Thorn has won the Teen Tech National STEM teacher of the year award and was the only teacher in Europe invited to sit on an influential advisory board in Brussels planning the future STEM subjects across the Continent. She has also been recognised by the British Council for her pioneering approach to making the teaching of Science, Technology, Engineering and Mathematics entertaining and more accessible to girls. A passionate advocate of developing more and more women for strategic and creative roles in science and industry, Elaine, has helped Loreto Grammar, the top Altrincham based Catholic school gain TeenTech's Gold level Centre of Innovation and Creativity, one of only six schools nationwide, nominated to disseminate best practise. Elaine, who has a Masters in Microbiology from Newcastle University, and has worked in the state sector in Tyne and Wear, Liverpool and from 2001at Loreto, said: “Young women are now performing just as well as young men in STEM subjects, but when they get into the working world don't have the belief that those top jobs are for them. That's why at Loreto we use the hash tag “Not just for boys'. Elaine with one of her award winning students Emma.